When we're not there, this is all you have. One of the reasons we founded this site was the distinct inability to determine what sort of co-op features a game has just by looking at the back of the box. Early on in the Xbox 360 and PlayStation 3's life cycle this was nary impossible. Most multiplayer was simply listed as such - with no discernable way to differentiate between competitive and cooperative. Sometime through the Xbox 360's life cycle that changed, with Microsoft breaking out the feature set of online and offline co-op along side the rest of the features. This was a huge step for co-op gamers and consumers wanting to experience a game with their friends and family in a non-competitive way. Sadly Sony didn't share Microsoft's viewpoint and the PlayStation 3 boxes never saw a feature icon that stated co-op play. With the Xbox One and PlayStation 4 out now, we had hoped Sony would see the light and change things up. Sadly, they did not. Microsoft however has cleaned up their feature list, getting rid of the parade of bubbles in favor of a much more readable grid. And would you look at that - co-op is still listed. 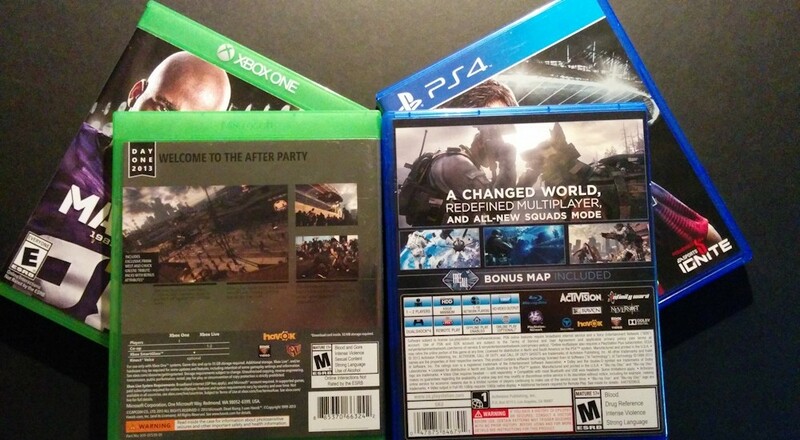 Let's look at some next-gen box art and compare. 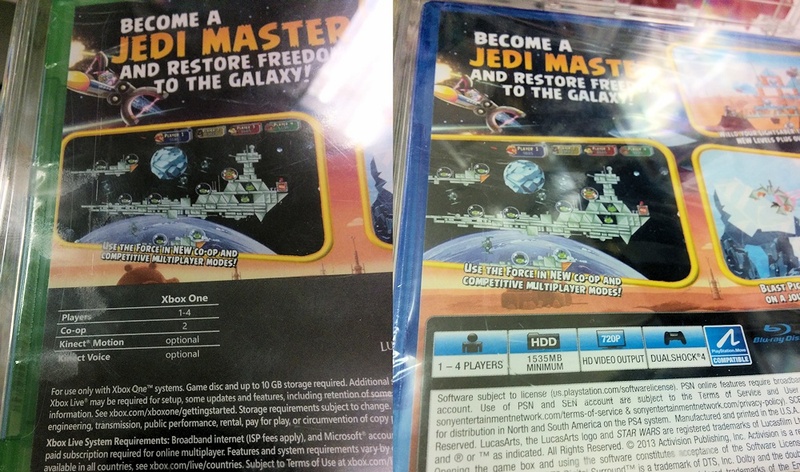 Here's the box art for Angry Birds Star Wars. Xbox One is on the left, PlayStation 4 is on the right. Note that co-op is clearly distinguished on the Xbox One, while the PlayStation 4 merely has a total player count. This is confusing because the game features both competitive and cooperative gameplay modes. Co-Op only supports two players, while the versus mode supports up to four. Now let's look at Call of Duty: Ghosts. Xbox One on the left, PS4 on the right. Here we see that Ghosts not only is supported offline for couch co-op, but online as well and those numbers are different in what is supported. 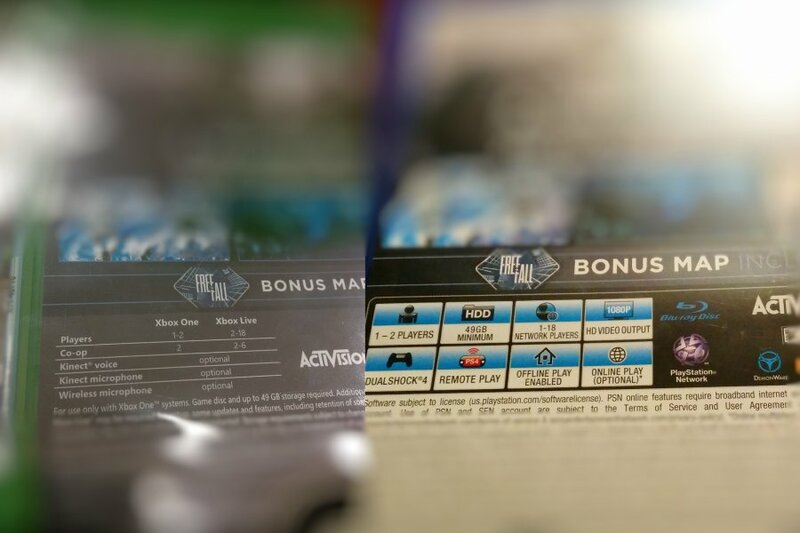 Again the PlayStation 4 box isn't quite as clear as to what modes of play are available. In Ghosts case both versus and co-op modes are playable locally and online. We've looked at some other co-op next-gen titles like Assassin's Creed IV: Black Flag and LEGO Marvel Super Heroes all providing similar, unclear results. When shopping for a next-gen title you'll still need to refer to our database to find out if the game has co-op or not on the PlayStation 4. On Xbox One and PS4 our database will serve your needs as to whether or not the game supports co-op in the campaign or if it has separate co-op modes of play. System link is also missing on both boxes, though Sony does go out of their way to say if "Offline Play" is "enabled" - perhaps a dig at Microsoft's previous policies. Over the years our database has grown from a simple list of 200 cooperative games across a handful of consoles and PC to a comprehensive source of over 2500 co-op games across two dozen platforms. We hope you continue to use it for all of your co-op gaming needs - and thanks for visiting us! Page created in 0.7316 seconds.